Accounting software is not something any finance leader wants to change or replace very often. If you are going to make a change, it’s critical you know the essential attributes of a modern accounting system. 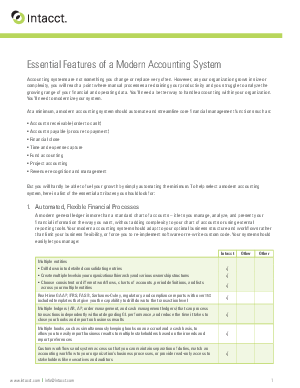 Download the “Modern Accounting Software Checklist” today and see the must haves for today’s accounting software.